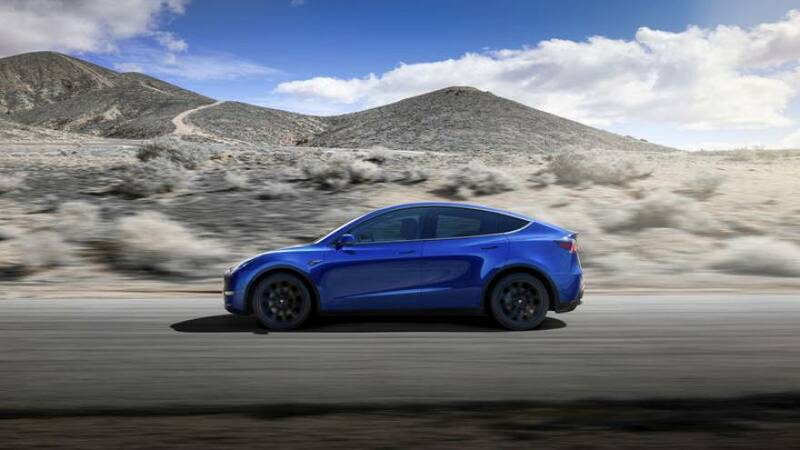 Tesla Inc unveiled its Model Y electric sports utility vehicle on Thursday evening in California, promising a much-awaited crossover that will face competition from European car makers rolling out their own electric rivals. Chief Executive Elon Musk said the compact SUV, built on the same platform as the Model 3, would first debut in a long-range version with a range of 300 miles (482 km) priced at $47,000 (€41,500). A standard version, to be available sometime in 2021, would cost $39,000 (€34,000), with a 230-mile range. The vehicles can be configured to include 7 seats for an additional $3,000. After the event, Tesla's website included a page to "design and order" the more expensive, long range version of the vehicle with rear-wheel drive, available next year. Ordering the car requires a $2,500 refundable deposit. Musk unveiled the vehicle at a short 40-minute event at Tesla's design studio in Hawthorne, outside Los Angeles, that was streamed live online. (https://www.tesla.com/modely). Each of Tesla's vehicles, from the Roadster to the latest Semi, were driven onstage before the blue Model Y appeared. On Thursday, ratings company Fitch warned that, despite Tesla's early lead, "incumbent carmakers have the ability to catch up ... thanks to their capacity to invest and their robust record in product management." Tesla's targeted volume production date of late 2020 for the Model Y would put it behind electric SUV offerings from Volkswagen AG's Audi, Daimler AG's Mercedes-Benz and BMW. "Twelve months from now we will have made about 1 million vehicles," Musk said at the event, without specifying the breakdown of models. That plan - later scrapped - ushered in a period of turmoil at the company, from Musk's public battles with regulators, a flurry of securities lawsuits, cost cutting and layoffs. The risk is "quite low" Musk told analysts in January. Tesla would "most likely" build the Model Y at Tesla's battery factory in Nevada, he said at the time. Musk gave no new details about where the Model Y would be produced at Thursday's event.